This walk is for ages 18 and up. This is one of the best spots in the county to witness the breeding season in full swing. 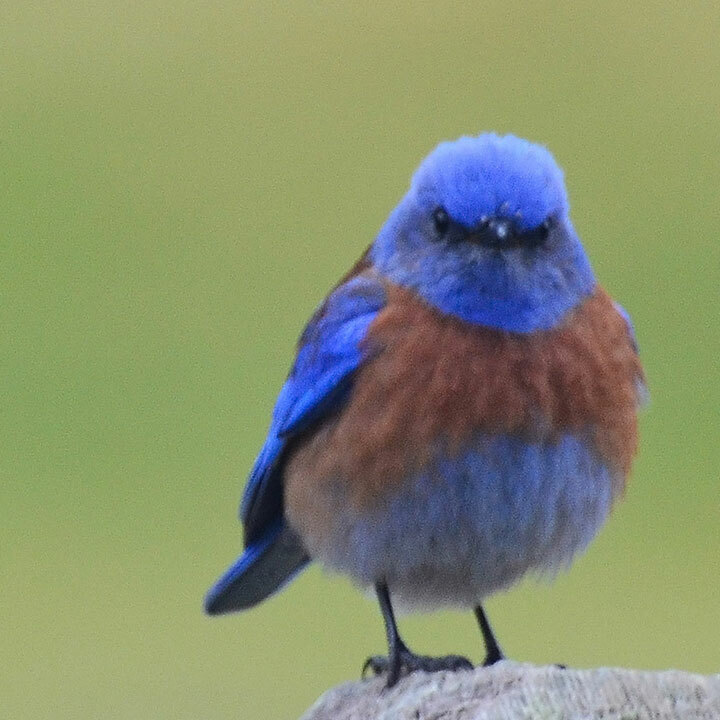 Western bluebirds, Bullock’s orioles, and lazuli buntings deliver an elaborate color scheme, while house wrens, lark sparrows, and warbling vireos provide background vocals. Remember to bring binoculars, if you have them. Directions: Meet at the gate on San Andreas Dr in Novato., From Hwy 101 in Novato, take the exit for San Marin Dr west 2.3 miles. Turn right onto San Andreas Dr and follow approximately 0.5 miles. The gate is on the right (before dead end).